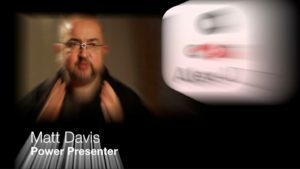 A free Final Cut Pro X transition that simulates an analogue TV switching channels between shots. Use this transition to imply a change in content. Changing the channel means the outgoing subject is over, it is time to move on to the incoming subject. 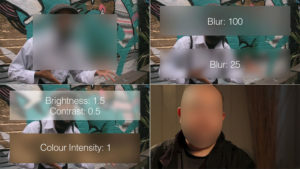 This free plugin is for Final Cut Pro X 10.0.6 and newer (if your version is older, visit this post at blog.alex4d.com). 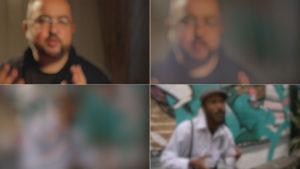 Thanks to Y-Love and Matt Davis for the use of their interview footage. You can control whether the clips roll up or down during the switch, how much the clips wobble up and down and what proportion of the transition is of used to show the clip moving up or down. 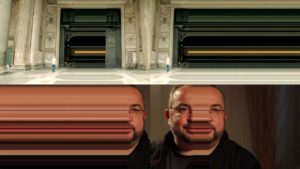 If you want to apply a similar distortion to the clips before or after the transition, use my free Bad TV a4d effect. To show an aside or interruption, use the opposite direction roll when returning to the main subject. 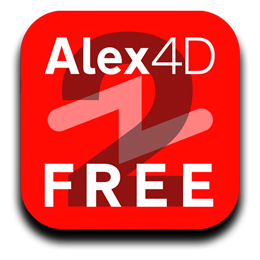 For example, if you use Alex4D Switch Channel to roll down to an aside, use it again with the same settings apart from rolling back up to the main subject. Roll choose whether the clips roll up or down during the switch. Maximum Jitter the outgoing and incoming clips wobble up and down before and after the roll part of the transition – set a high value for maximum jitter to make the wobble more extreme. A value of 0 will prevent the wobble. Roll Proportion sets what proportion of the transition the clips roll up or down. 100 – the roll happens throughout the transition, 0 – the roll happens instantly in the centre of the transition. If when you try to run the installer you get a message stating it can’t be opened “because it was not downloaded from the Mac App Store” – your Mac OS X security preferences are protecting you. To change them, or work around this, visit this post at blog.alex4d.com. If when you apply this plugin, your Final Cut viewer turns blue, your version of Final Cut Pro X is older than 10.0.6, if you sign into the Mac App Store with the Apple ID that bought your copy, you can download the free update. If you can’t do this, there is a workaround at this post at blog.alex4d.com. 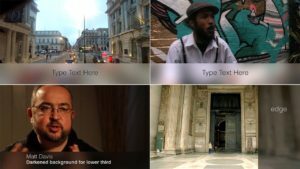 A free Final Cut Pro X effect that adds overlays to clips which are useful in feature film production. 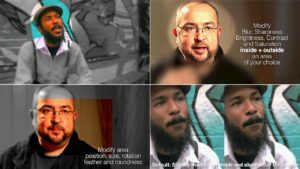 A free Final Cut Pro X transition that uses wide and short horizontal wave distortions for a “Scooby-Doo” flashback effect. 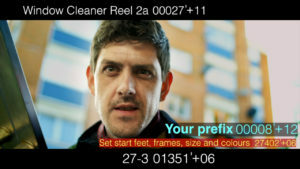 A free Final Cut Pro X timecode effect that counts 35mm 4-perf film clips in feet and frames. 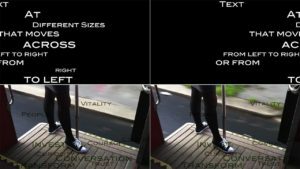 A free Final Cut Pro X title that moves lines of text across the screen in a random order. 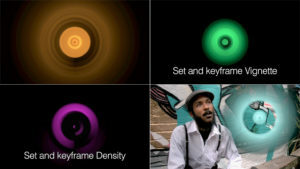 A free Final Cut Pro X generator that draws a series concentric circles to form a tunnel. 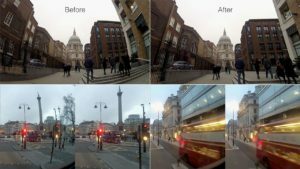 A free Final Cut Pro X effect that fixes footage shot on cameras with fisheye lenses.